Uncapped Surrey batsman Rory Burns is set to replace Alastair Cook at the top of England’s order after being named in a 16-man squad on Friday for the upcoming three-Test tour of Sri Lanka. 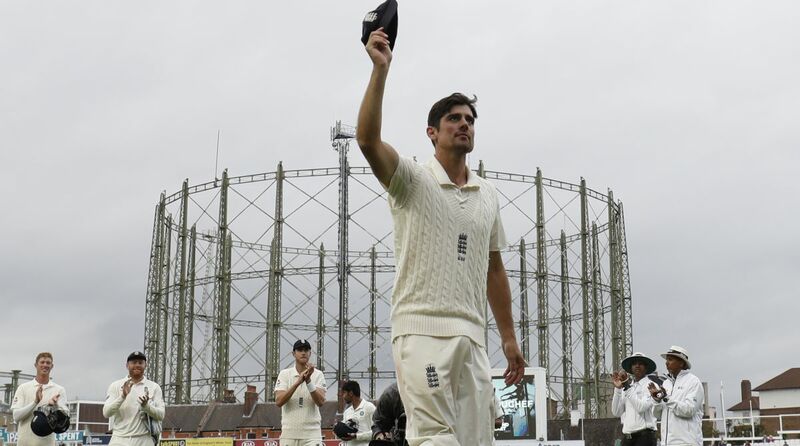 Left-handed opener Cook, England’s all-time leading run-scorer, retired from international duty after bringing down the curtain on his illustrious 12-year Test career with a farewell century against India at the Oval earlier this month. That left England with an opening batsman vacancy. They have now turned to Burns, who captained Surrey to the County Championship title this season. Burns has been the leading run-scorer in the English top flight this season, scoring 1,319 Championship runs at an average of over 69. Burns was one of three uncapped players in the squad, along with Kent batsman Joe Denly and Warwickshire paceman Olly Stone. England have two warm-up games in October and November before facing Sri Lanka in the first of three Tests in Galle starting on November 6. Squad: Joe Root (Yorkshire, capt), Moeen Ali (Worcestershire), James Anderson (Lancashire), Jonny Bairstow (Yorkshire, wkt), Stuart Broad (Nottinghamshire), Rory Burns (Surrey), Jos Buttler (Lancashire), Sam Curran (Surrey), Joe Denly (Kent), Keaton Jennings (Lancashire), Jack Leach (Somerset), Ollie Pope (Surrey), Adil Rashid (Yorkshire), Ben Stokes (Durham), Olly Stone (Warwickshire), Chris Woakes (Warwickshire).